Review the latest pricing for multiple trim levels and options. Base Model represents a car without any options added or extra features and is usually the least costly. Typically Equipped shows what most car shoppers choose in terms of options and features. This information is supplied for personal use only and may not be used for any commercial purpose. J.D. Power makes no guarantee or warranty, either expressed or implied, including without limitation any warranty of merchantability or fitness for particular purpose, with respect to the data presented here. Data provided in this application is believed to be accurate, however pricing, specifications, installed equipment and vehicle availability should be confirmed with the dealer. J.D. Power is not responsible for any errors or omissions contained in this application. Photos may not represent exact vehicle or selected/installed equipment. All specifications, prices and equipment are subject to change without notice. Prices and payments may not include tax, titles, tags, finance charges, documentation charges, emissions testing changes, or other fees required by law, vehicle sellers, or lending organizations. Listed Annual Percentage Rates are provided for select lenders and are valid only on the current date, subject to change at any time. Payments may be higher in some states. Not available with other offers. Residency restrictions may apply. See dealer for details. Listed rates, payments, incentives, and other terms are estimates for example purposes only. Information provided is based on a dealer’s geographical location and a top tier credit score where alternate values are not provided by a user. The payment information provided here is not a commitment by any organization to provide credit, leases, or other programs. Some customers may not qualify for listed programs. Your terms may vary. Rates are based on best credit tier. Not all buyers will qualify. See your dealer for more details. When you select a vehicle and enter your ZIP Code, we pre-populate each variable field in the payment calculator with estimates. These amounts are based on J.D. Power’ prices, data and standard industry data. The values that apply to your specific purchase or lease are likely to vary. You should use the information provided to you by your dealer or lender when available. When leasing, there may be an excess mileage cost, security deposit required and/or a purchase fee at the end of the lease. Please check with your dealer or lender. This tool provides estimated monthly payments and estimated APRs for illustrative purposes only. Actual price and payments may be different due to local rebates, specials, fees, and credit qualifications. Consult your dealer for actual price, payments, and complete details. Pricing shown may exclude a document fee, destination/delivery charge, taxes, title, registration, service contracts, insurance or any outstanding prior credit balances. Optional equipment not included. Option pricing is based on the manufacturer's suggested retail price. For purposes of calculating your monthly payment, the estimated Manufacturer’s Suggested Retail Price (MSRP) was used. Not all terms are available in all areas. Terms may vary based on creditworthiness. The price shown is for qualified, eligible customers. Actual dealer price will vary. Many variables, including current market conditions, your credit history and down payment will affect your monthly payment and other terms. See your local dealer for actual pricing, annual percentage rate (APR), monthly payment and other terms and special offers. Pricing and terms of any finance or lease transaction will be agreed upon by you and your dealer. The estimated monthly payment is based upon the credit rating of 800. An APR is the cost of your credit as a yearly rate. User APR Payment calculations are based an APR and term. The initial APR is provided for estimation purposes only and you may change it at any time. However, you may not be able to finance your vehicle at this rate. See your local dealer for details and actual available terms and conditions. You may not be able to finance your vehicle at the rate provided. Incentive and finance offers shown may not be available to all customers. Incentives lists are examples of offers available at the time of posting and are subject to change. Not all incentives can be redeemed together. To take advantage of rebates, incentives and/or financing offers you may be required to take new retail delivery from dealer stock by the expiration date noted. The "Net Trade-in" is an estimate only and many factors that cannot be assessed without a physical inspection of the vehicle may affect actual value. J.D. Power is not responsible for and does not guarantee the \"Net Trade-in\" information. Please see your local dealer for information regarding actual trade-in availability and value. Your ZIP Code helps us calculate your payments and offers. Images shown may not necessarily represent the actual vehicle used to calculate the estimate. Vehicles shown may have optional equipment at additional cost. 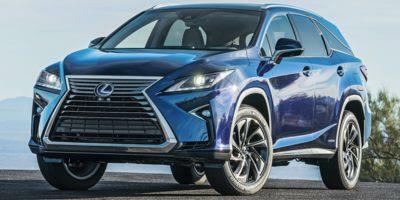 2018 Lexus listings within miles of 20149 Find 2018 Lexus listings for sale near you. Get answers to buy with confidence. Save when you purchase multiple reports. Get the best price and be more prepared with your free, no-obligation new car price quote.